The NRCL received funding from the Department of Environment, Land, Water and Planning (DELWP) through the Threatened Species Protection Initiative- Community Volunteer Action Grant to undertake a monitoring program on its property at Cranbourne West and a range of other sites in the vicinity. 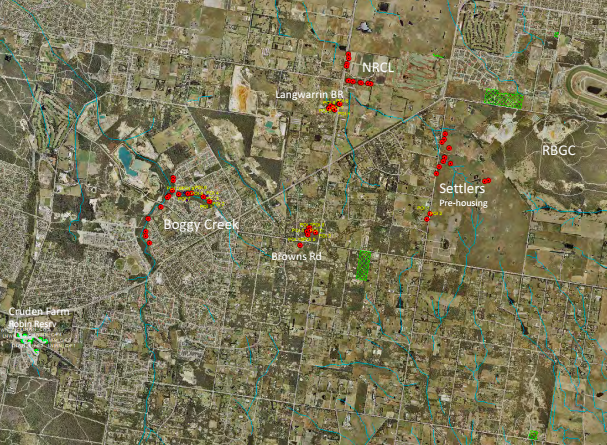 Sites were selected within the priority corridor identified in the City of Frankston Habitat Linkages report prepared by Practical Ecology. Over 90 monitoring sessions have occurred across key sites within the corridor. This project represents the first systematic monitoring tracking of the distribution and dispersal of the Southern Brown Bandicoot west from the Royal Botanic Gardens, Cranbourne. The data collected with the assistance of community volunteers will inform the development of much needed corridors or biolinks as well as raising community awareness of the need for such linkages. the significant numbers of the southern brown bandicoot present at Settlers Run which overall, has an abundance of wildlife. Settlers Run is residential development which has wildlife within an urban setting. This site was restored from a landscape of open grazing land to support encouraging numbers of the southern brown bandicoot. Southern Brown Bandicoots and its predators can co-exist; provided there is appropriate shelter and protection. Reducing introduced predators does result in increased wildlife; as shown by the experience in the nearby Royal Botanic Gardens. There is a caveat; predatory prey relations with multiple predators and prey are very complex and removing the top predator has unintended consequences. These include excess small predators (cat which may be much worse than both predators) and excess number of herbivores destroying the vegetation. Ecologists David Nicholls and Mal Legg have been primarily responsible for the delivery of the project and their findings were presented to a workshop at Settlers Run, Botanic Ridge on September 24. 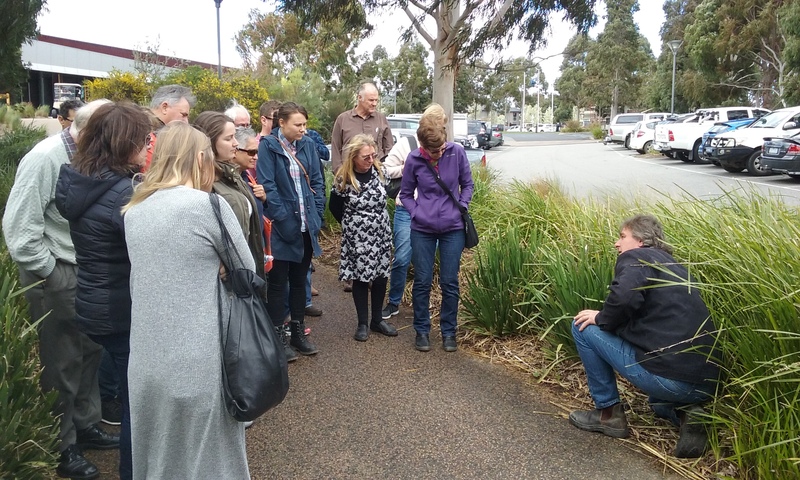 Over 40 people including many local residents attended this educational session to learn more about the monitoring project and the southern brown bandicoot, the nationally endangered species that is thriving at Settlers Run. A number of other presentations about the project’s findings have been made to local environmental and community groups. Read the final findings report here. Mal Legg outlining key requirements for bandicoot habitat to some of the participants in the bandicoot workshop at Settlers Run. Set of maps for less commonly captured species.